Inkkas is a global footwear brand for Men, Women and Children created in 2012 in the USA. They are offering a wide range of highly fashion shoes made by hand with authentic fabrics coming from Latin America & Africa. 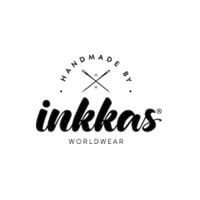 Inkkas was founded as an organisation with bigger goals than just to make profit. The company established itself in the principles of fair trade, honesty and social awareness. Due to the growing danger of deforestation Inkkas wanted to make a difference and created the project OneShoeOneTree™ in which they are planting 1 tree for each pair of shoe that is bought.